Rajouri (Jammu and Kashmir) [India], Apr 3 (ANI): Bharatiya Janata Party president Amit Shah on Wednesday asked Congress party chief Rahul Gandhi to clarify his stand on his ally Omar Abdullah’s demand of a separate Prime Minister for Jammu and Kashmir. “Rahul Baba, do you also want two PMs in the country? People of the country want to know the Congress president’s response to Omar Abdullah’s statements. You should tell the nation whether you support him or not,” Shah said at an election rally in Sunderbani town of the district. He also said that a leader of National Conference (NC) raised pro-Pakistan slogans but Mauni Baba, as Shah dubbed him, remained mum. “Rahul Gandhi, you are in alliance with the NC, you cannot escape from the responsibility to clear your stand. Citizens of the country want to know if you agree with raising ‘Pakistan Jindabad’ slogans,” the BJP president asked. He also questioned the Congress’ promise in its manifesto to remove the sedition law. “Are all anti-nationals your (Rahul Gandhi) cousins,” he asked. 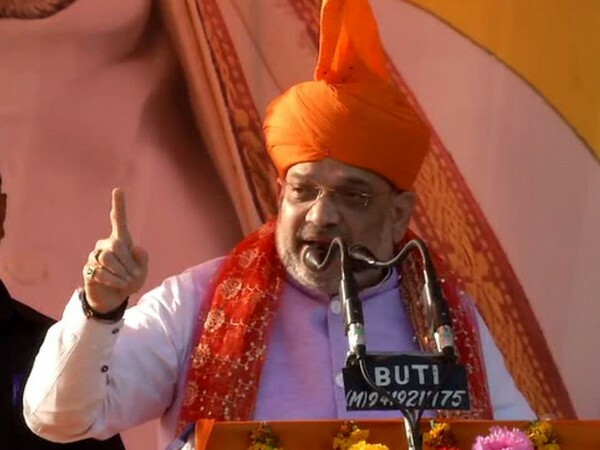 The BJP president alleged that infiltrators want to change the demography of Jammu region and vowed to oust every single infiltrator from the country if voted again to power. “Infiltrators are eating our country like termites. They want to change the demography of Jammu. As long as there is a BJP government, we won't let this happen. If you choose Narendra Modi government, we will oust every single infiltrator from the country in the next five years,” he said. He said that the Congress and Jawaharlal Nehru were responsible for the inclusion of Article 370 in the constitution and Pak occupied Kashmir.